For me Valentines should be natural, but an enhanced version of yourself. So a good, clear base for your skin, neat brows plus defined yet natural eyes and lips. Not that hard then eh?? Here’s how I’ve done it. So what did I use for this face? 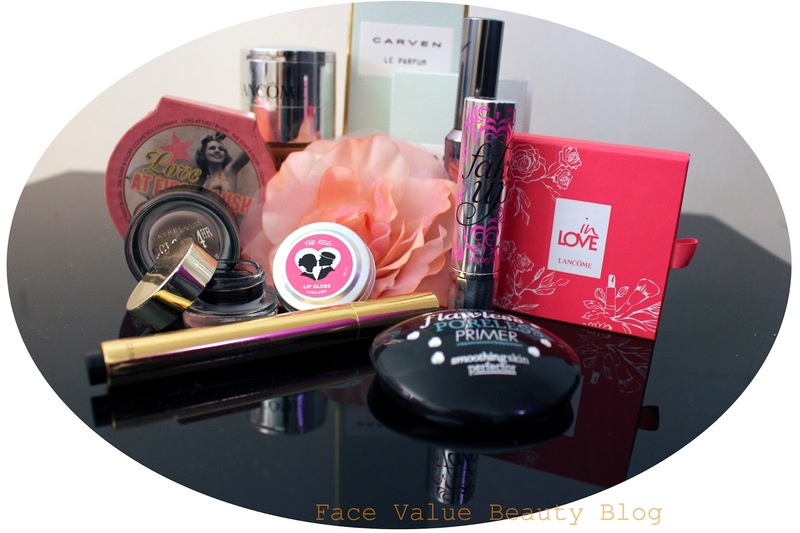 This is the array of magical miracle workers which helped build this face! A mix of current favourites and old trusty friends. What foundation did I use? For a glowy, radiant base – I picked my trusty Lancome Teint Visionnaire foundation (which I reviewed here) I love that it treats my skin and prevents it from ageing at the same time!! Beautiful Blush: Another good egg from Lancome. And so appropriate for Valentines day, this is the Lancome Blush In Love which I reviewed here. 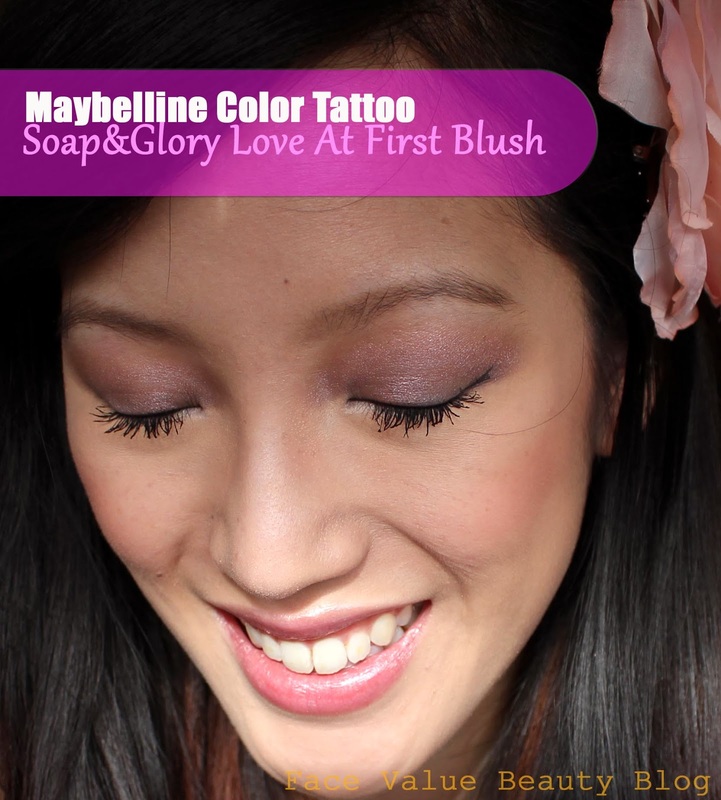 This gorgeous petal blush is very romantic, the perfect pink flush for your face. yup, I’m cheating here, using a blusher on my eyelids!! AM I MENTAL OR WHAT?!! result is a shimmery but solid colour which lasts for ages! 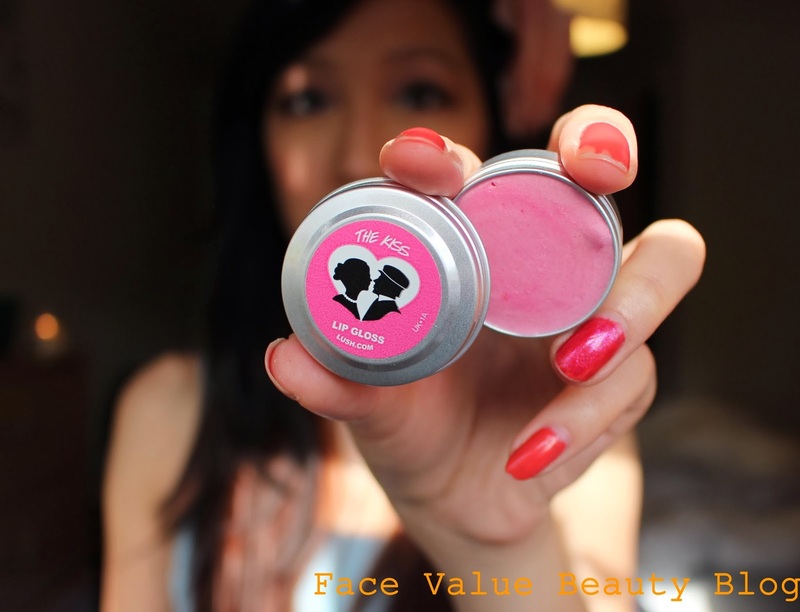 – think pink with this gorgeous lipgloss by Lush. The Kiss is a lovely pearly lip balm/gloss from the Lush Valentines range. It’s not as moisturising as I’d like it to be but it tastes delicious, feels comfortable on the lips and looks great. 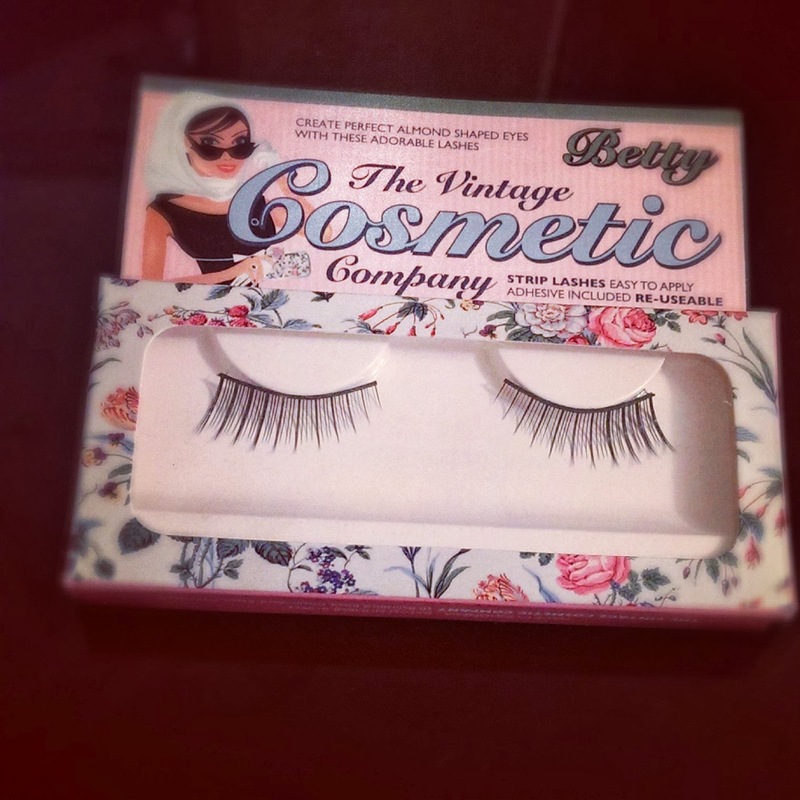 Oh, and if your eyelashes need a bit of a boost, try these fab Betty Lashes from MeSoMakeup. I normally only wear falsies for nights out but these are great for a natural, daytime flutter and are only £6 incl free delivery! 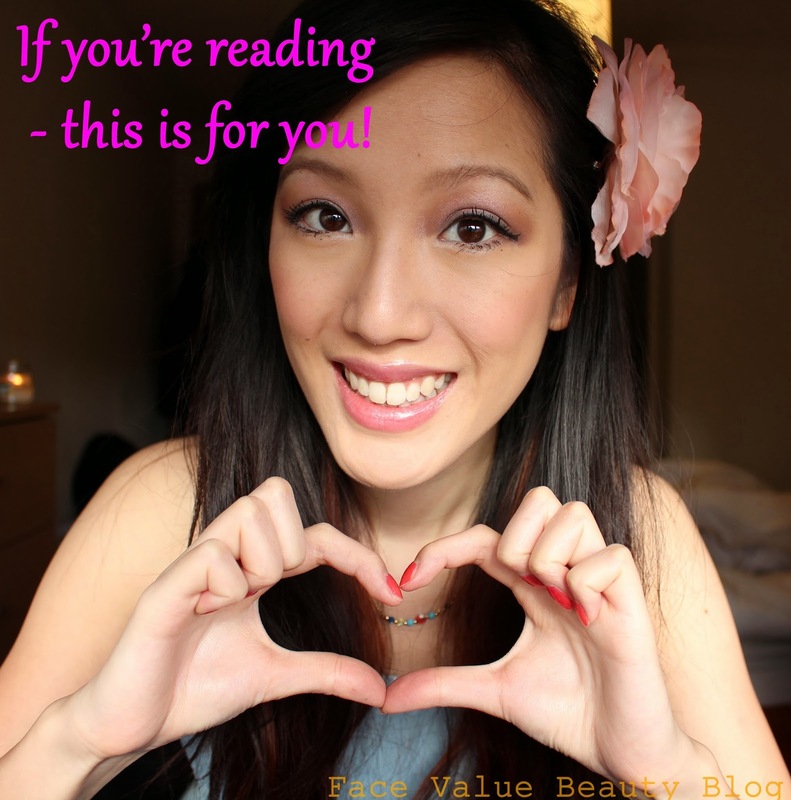 A little Valentine message from me to you. Wow like the look of the lip gloss and the eyes!